The last one looks like an inspiration from "Out on a limb" (with the words on the pic and the jasmin? flowers). I think it's very interesting that she sells them for 300 Euros. Not 300 US-Dollars, not even 300 British pounds. Her main market is continental Europe. I think this time some of the money is a donation. Anyway, I really love Heather's artwork as well as her music and lyrics. And why not making some money while live musicians are not played often anymore at the radio to earn a living. Bought a lot drawings so far, need to find the perfect place so on the wall. My space is limited. At each concert I can join I try to make pic of each drawing offered before it is sold. I don't find it interesting! Consider that Apple sells an iphone in the US for maybe 1000 US Dollar and in the EU for may 1100 Euro. Does it makes sense? Anyway, I think Heather is always open to make a deal for the drawing you like as long as it is available and reasonable. Well, I mean she is living in Bermuda, which has Bermudian dollars and US dollars, and she still offers her paintings in Euro. That's interesting, because it makes sense and shows where most of her fans come from. I don't meant exchange rates. I'm sorry I don't unterstand your points or concers. Heather offers very nice paintings. For some countries it might be cheaper, for some more expensive due to exchange rates. To offer in Euro is reasonable as most of her fans totally know then how much to pay. I think it doesn't make sense to tell the amount in Bermudian Dollars although it is related to the US-Dollar. 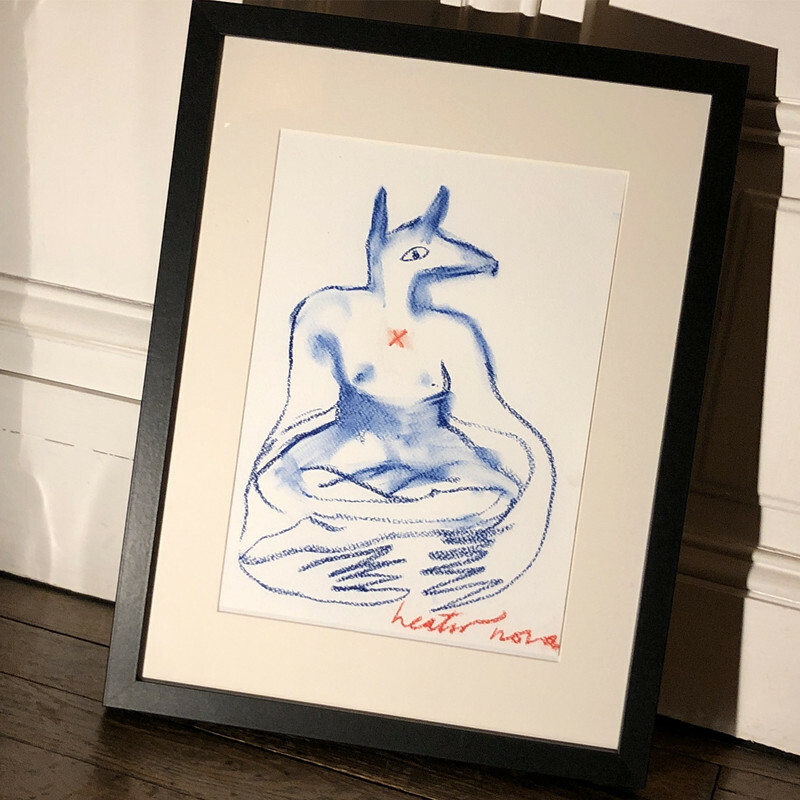 Everything Heather is painting, comes from her soul, I believe, well for sure, and I feel so much connected as much as to her songs. Bernd just wanted to express, that Heather obviously sees her main market in continental Europe and not in the USA or Britain or somewhere else. I don’t know, what is so hard to understand about this point. I'm sorry I misunderstood. I'm on the same page. Yes, that's what I meant, too. I totally agree as well to most of the comments/replies. Love those from Vincent and Massimo. Happy I met both in person, different time so. Looks like you already got a frame for it to put it on the wall. Enjoy! And I like Mishka calling her "Heas"! Maybe he just called her during the boat years, but maybe still do. Would love to know more about this name, but maybe is a family secret. Maybe Mishka just cannot pronounce the "th"... so for him her name is "Heaser Fris". Heather has a new instagram website since last weekend! So update your browser links if you want... maybe this thread also needs to be renamed.